We are obsessed with time. It's been said that time is what we want most but use worst. Time, or a lack of it, is the topic of everyone's conversation and every family complains of a frenetic family calendar and schedule. In children's ministry, there is a huge pressure to produce and use time wisely. After all, there is always the next lesson to prepare, event to organise, family to contact and meeting to attend. But there are a number of helpful programs and apps that can simplify your life and organise your time. Check out the following list. What programs do you find helpful? For more ideas, check out this article to structure in a productive day. CATCH.. a free app to capture ideas and turn them into action. NAMERICK.. if you forget the names of parents and others, this is for you. SHOEBOXED.. take a photo of your receipt and Shoeboxed copies the date, total, payment type, store and category. Keep track of your expenses. Mother's Day- that special time of the year when we remember and celebrate mothers and their important role in our lives and families. Promote your special kids ministry Mother's Day events with your church family using a Mother's Day powerpoint slide.... we've provided a couple of choices below to download and personalize. You can easily make your own, though, with the help of a couple of resources that we've listed below. The first image and slide was created using SmileBox. We've highlighted SmileBox before and find it really helpful in creating graphics and movie clips quickly and easily. 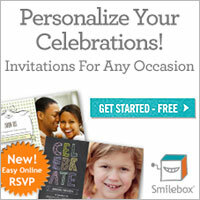 See here for more information about SmileBox. We used a simple little app called BubbleFrame to make the second image. It takes a few minutes to become accustomed to the controls but you can quickly make attractive little designs to use on your powerpoint slides. Springpad is a great little program and app that allows you to clip and store information, ideas, videos, pictures and more that you find while searching online. This information can be stored in various notebooks and kept private or available to share with others. If you're not using it yet, you might like to check it out. It's an easy way to share information and ideas with your team. It also allows you to embed a notebook in your website or blog as another way to share this information. And so, I thought I'd try it with this post.. hope it works! I've gathered a small collection of interesting apps that you may find worthwhile for your children's ministry or for your own family. You should be able to click on the image for more information with a link to the source. You also might like to check out previous posts of other potentially useful apps. * Apps for children's ministry..
* 2 x google eyes (at least 28mm) If you can't buy them, you can cut out ovals from the plastic lids of icecream containers and use black permanent markers. * small piece of soft calico or other material, or a scarf. Want to involve kids in lessons and Bible stories? Try giving them some puppets to act out or retell the story. If you've never used puppets before or don't know how to start, these rod puppets are a great way to begin- and they are so easy to make! Make a set of characters to have on hand for any story or... involve the kids in making them. And... if you also take photos of the kids and the puppet presentation or make a video, it's even better. You can show it to all your kidmin groups and your church family or upload it to your kidmin website. I have found that even the quiet kids want to play a part as a puppet character. So.. how do you make them? 1. Remove lid from carton. Pull the leg of a stocking over the carton down past the neck of the carton and tie a knot. 2. Cut off the excess stocking and screw the lid of the carton back on. 4. The handle of the carton becomes the puppet's nose so attach 2 google eyes on either side of the handle. 5. Now, comes the fun part. Add acrylic hair for the puppet's mustache eyebrows and hair. Wrap the piece of material around the top of the carton and it's ready! Some time ago, Elevate at Church launched a program for families- Elevate at Home. The idea was to make their Sunday morning kids ministry program materials available for families to download and use at home to develop and grow leaders: making good kids into great leaders. I don't know if you accessed their materials and promoted them with your church families but the quality of animated Bible stories and lesson materials is excellent. Now, they have revamped the program and are offering the resources to families on a subscription basis- $3.99 per month. It's great value and well presented. The other positive feature of this new approach is that you don't have to download the clips. The new improved website allows kids and families to watch any lesson movie at any time using any device. It's worth taking some time to check it out- here! "This new and improved, streaming website takes the stories (lessons) from the Bible and brings to light the leadership principles that are contained within them. From the lesson of Gideon we can learn about confidence. From the lesson of Nehemiah we can learn about perseverance. From the lessons of Paul we can learn about commitment, and the list goes on. This program gets kids into God’s Word during the week so that it can be learned and applied to their lives now, and in the future. Our world needs, and will need, men and women who will step up and lead our world in a God honoring way. That’s why you and I have given our lives to work with kids - to teach them God’s Word today so they can impact their world now, and the larger world tomorrow". We'd been there since early morning setting up for our Easter family event, 'Rock-n-Roll Easter', unsure of how many families and children would shortly walk through the door. The program was simple: children's ministry was responsible for a 15-minute segment of the worship service, the children's program and the following Easter egg hunt outside. This year, we'd decided to use Group's Rock-n-Roll Easter Event, and all the leaders were enthusiastic. Our worship service segment involved the kids as much as possible. 2.We followed with a clip with photos of the kids during their mid-week program, made using SmileBox, followed by the puppet skit supplied with the kit. 3.Some of our older kids presented the puppet show and it was also easy to prepare, since the voice-over audio is provided in the kit, too. 4. We included a clip from the Skit Guys to highlight the resurrection (see here). 5. The final segment was another song with the kids singing- He Arose. We encouraged the whole church family to join in singing this well-know chorus. Then we went out for our program. And again, it was really easy. We sang a couple more songs with the kids, showed them the Easter clip, A Very Special Easter. We played music to bring them all back to the main area before going out to the Easter Egg Hunt. The program suggests hiding plastic eggs which can then be redeemed at the designated area for a bag of Easter goodies including a comic Where the Rock Rolled Away that shares the gospel in a fun way. It worked very well with many parents commenting that they had never been to a better Easter program and Egg Hunt that not only was heaps of fun, but taught the kids something, too. So.. would I recommend it? Definitely... Our numbers swelled to three times our usual crowd of families and everyone had something encouraging to say about the morning. I even had new families coming up afterwards wanting to sign their kids in for our mid-week program, too. What programs did you use this Easter and how did it all go?